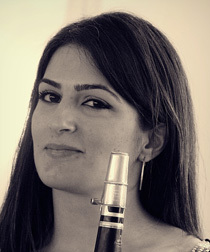 With a background as a versatile principal clarinettist with leading Turkish orchestras, Özlem Celik is quickly establishing herself as a solo and chamber musician of distinction. Her interest in solo performance began in 2006 when she toured Germany and Turkey as soloist with the Youth-Genç Symphony Orchestra, a cooperation orchestra of young German and Turkish musicians. Since coming to London in 2014 to study for her MA in Performance at the Royal Academy of Music, she has developed a keen interest in solo and chamber repertoire. 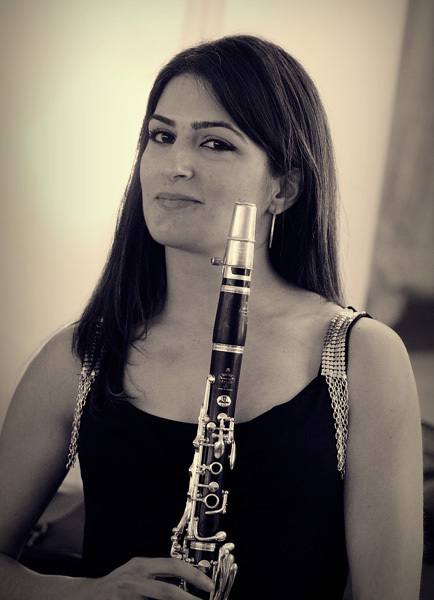 Her principal teachers in Turkey were Atıf Peynirci and Nusret İspir , and in London she has been privileged to study clarinet with Timothy Lines, Patrick Messina, Andrew Marriner, Angela Malsbury, E flat clarinet with Chi Yu Mo, and bass clarinet Laurent Ben Slimane. Recent engagements include a solo recital on the 27th of September with Asia House - Talent Unlimited Music Futures Festival with pianist Lysianne Chen at Asia House. It followed by “French Musical Impressions” on the 1st of October at Hampstead Garden Suburb and on the 22nd of October “When Classical Meets Jazz” at the Royal Overseas League Princess Alexandra Hall.